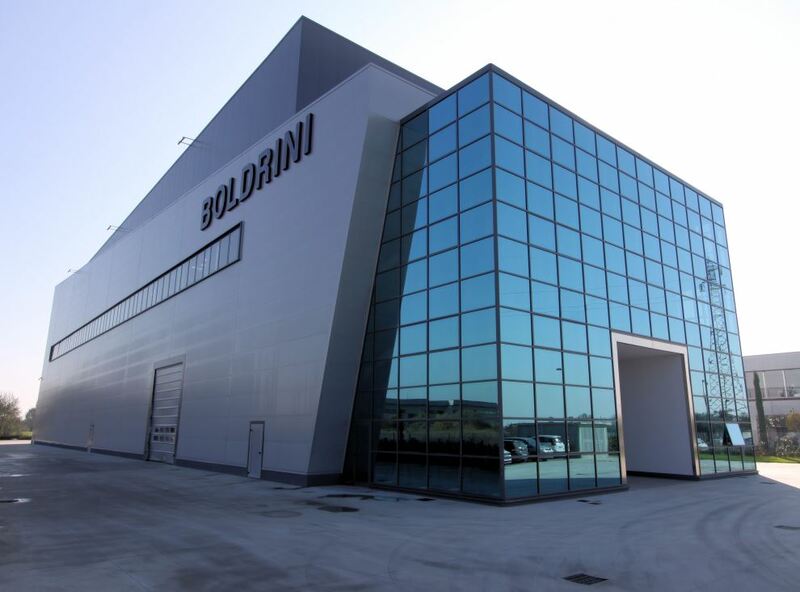 At the beginning of 2015, Boldrini moved into its brand new production site in Castiglione delle Stiviere. A very advanced building for its project, the construction technological solutions adopted, for its dimension. This was a step we must take in order to satisfy our customer demands of always bigger machines. The new spaces (1500sqm covered and more than the double open air and ready for a future expansion) and the height of 20mt under the crane hook, with an impressive lifting capacity of 100+25Ton, removed all our possible recent and future machines limits in size. Inside the building all brand new equipment. The automatic stocking system computer controlled that manage 500draws with 500Kg capacity each. High precision measuring instruments. The 4 trenches for the machines assembly with max length up to 16mt and max deep up to 4mt. All these feature simply to make sure to satisfy your machine need of today and tomorrow, as you always expected from us. Driving on the interstate from Brescia to Mantova, it’s impossible not to see us. Call us to fix an appointment and come to see us.